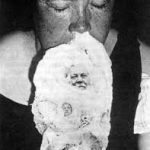 Home » Parapsychology Public » Spirit Photography Ectoplasm – What Is Ectoplasm? There are a lot of things that come to us like legends or fairy tales. In the movies, a white cover and a ghost reminiscent of the origin of the so-called Ektoplazma lies. The silhouettes seen in the images, the vaguely emerging images, are actually images in which the transcendental beings constitute different substances. Psychic call of spirit! The images appearing on the sessions often seem frightening but scientifically researched and accepted. I would like to add a post about this on Wkipedia. 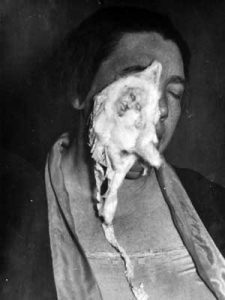 Ectoplasm (Ektoplazma) is the adjective given to the amorphous submaterials that are introduced into the body of trancemed media, especially from mouth, nose, ear, organs, spreading in the air, sometimes visible and touched by hand. The term derives from the words “ektos“, which means “outside” in ancient Greek by the French physiologist Charles Richet who received the Nobel Prize in Physiology-Medicine in 1913, and “plasma,” which means “created, resembling”. 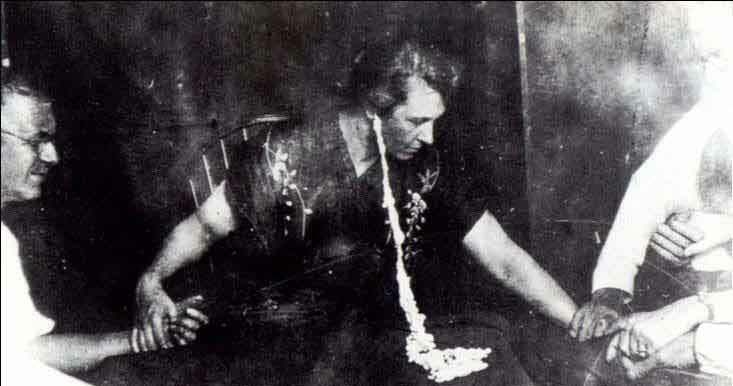 Ectoplasm usually appears in white, dirty white, lead, and sometimes red. Sometimes the steam is a subtle substance that sometimes becomes intense. 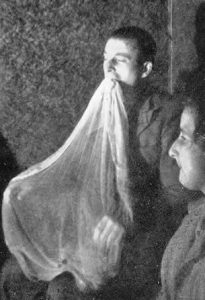 Metapsicist doctor Gustave Geley accepts ectoplasm as an organic org. 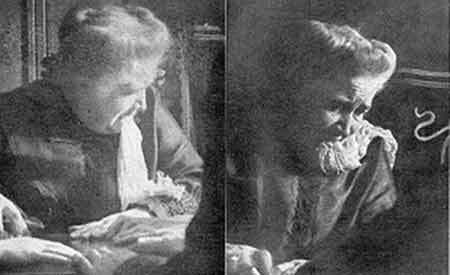 The chemical analysis of the ectoplasm, which is predominant only with photos taken in the session rooms, was made by the German scientist and psychic researcher A. Shrenck-Notzing and is described as chemical formula C120 H1134 N218 S5 O249. Notzing explained that in the ectoplasm named “teleplazma“, leucocytes were found in fat particles, in human cells, and in abundant quantities. It is suggested that the ectoplasty with special qualities can gain various organ forms in the spiritual liaison sessions and sometimes even gain a human appearance. Thus, such ectoplasmic formations have been published in some publications under the title “Photographs of spirits“. But according to Spiritualists, a photograph of an immaterial entity can not be taken; So it is more appropriate to say that these are not the “photographs of the soul” but the formations that are formed under the influence of the soul image. Note: Pictures related to the subject are available in black and white. Which is original and which is fake uncertain. The power to find colorful pictures. It does not wish that the research on this subject may have been made only in a certain period, or that the paintings may have been prepared for the purpose of portraying only the subject at that time. It was compiled from the Ectoplasmic publication on Wkipedia.